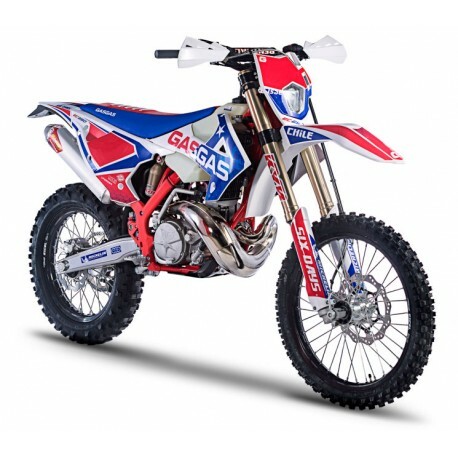 In the general scheme of things, the world of Enduro Bike launches has changed. The big 2, alias KTM, Husqvarna launch new bikes in May of the current year … we can only think this is to capture the market before the rest including the Japanese get up and running. 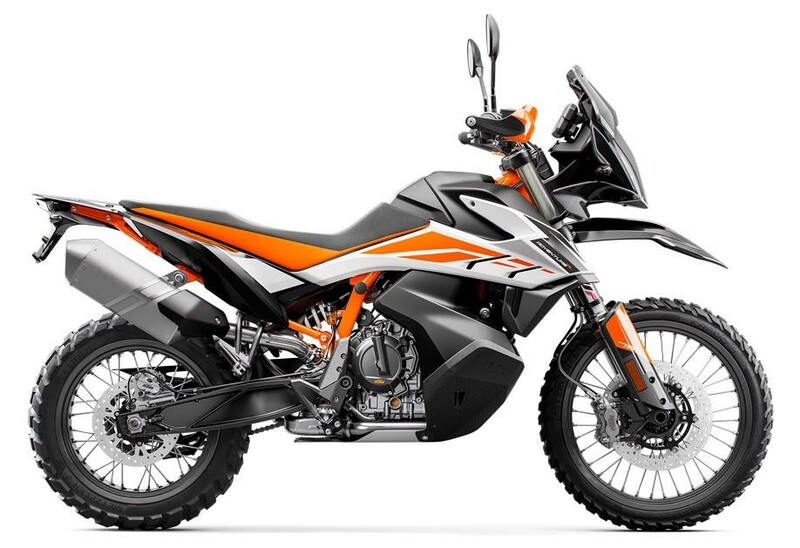 That means that Ktm, |HVA already have their 2020 Bikes production ready. Not a policy we here agree with but it’s not going to change. Regarding New bikes there were few … the former 2 are similar to 2018, Beta is the same now with a 125, Gas Gas similar with the addition of the 200, Sherco continue in the same vein. If the Europeans TM have made the most changes with all new 2 t and 4 t models. 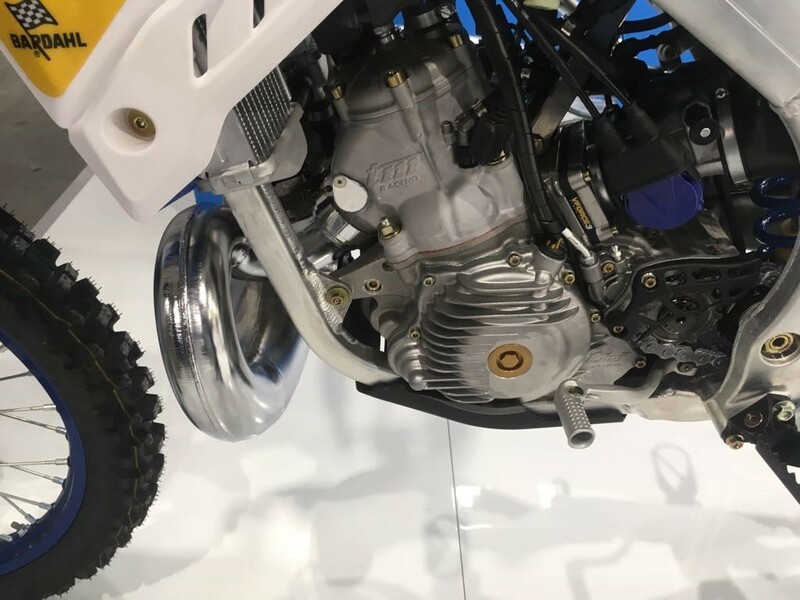 2t with fuel injection and now E-start adding the Desmo motor to the 4 t 250. 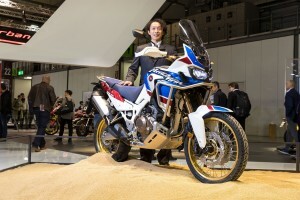 Suzuki launched a new EN 250 Through valentine and Honda through the red moto. Both Italian homologated at a cost. The WR remains the same. 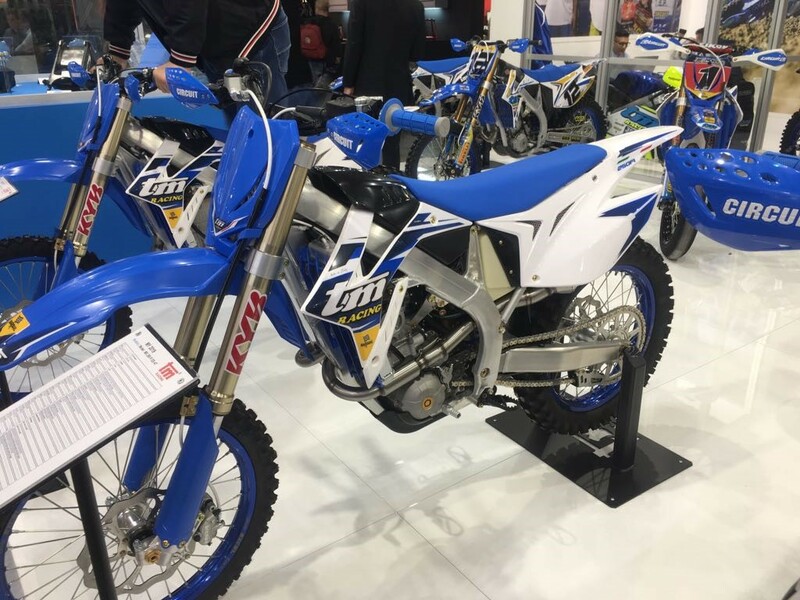 The pick of the bunch has to be the TM 250 4 t … world champion for the last 3 years it is beautifully put together. The adventure bike side offers more in the way of New launches and some interesting and surprising bikes. 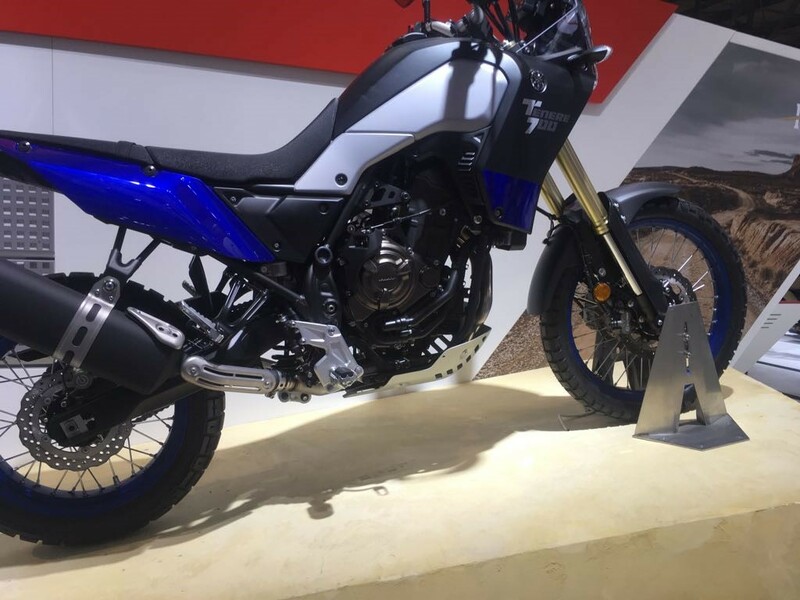 Yamaha has led the charge for a smaller capacity adventure bike with off-road capability. Details have been teased out for the past 3 years the final production model launched at EICMA the Tenere 700. They have done a nice job if possibly missing a few markers in terms of Ergos, seat, and fuel. BMW had already moved with the GS. 800, typically BMW with the newer parallel twin motor and triumph with the very impressive three cylinder 800 xc a very underrated bike. The new 502 Benelli we think missed the mark with the clamour of Asian models open to opinion; small capacity and less expensive. The Enfield Himilian is worthy of mention … utilitarian to get the job done. 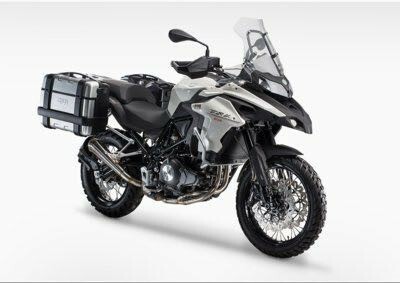 Stalking in the wings for a few years has been Ktm with a reported 750 cc version of their popular 1250 adventure. 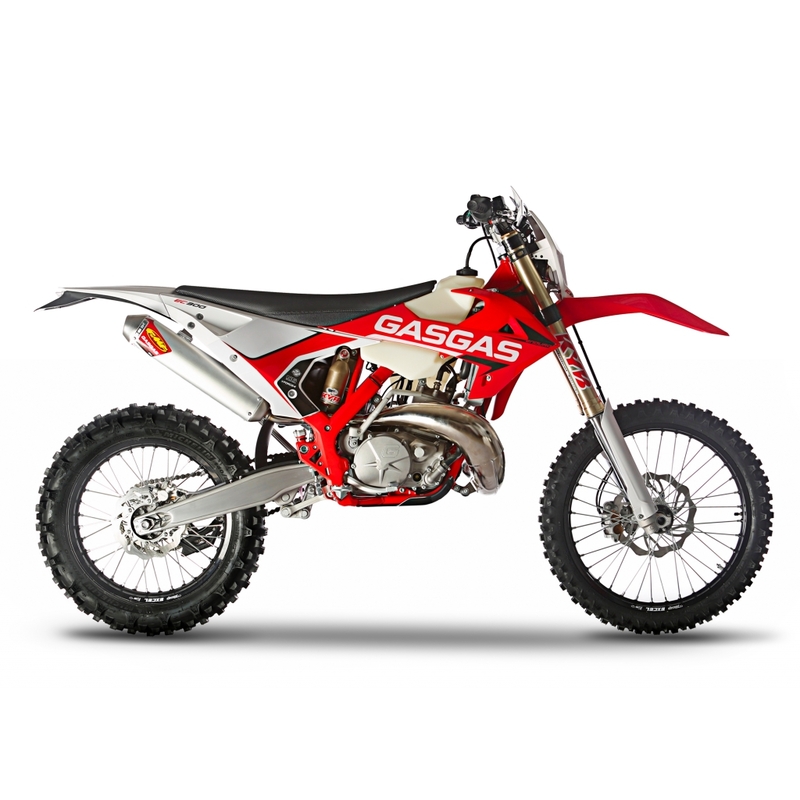 Here they may well have stolen a march on the competition launching a production-ready 790 parallel twin with all the bells and whistles. They have done a great job and first look must put it top of the pile. The Ergos are right, Centre of gravity low with down slung tanks and good seating. 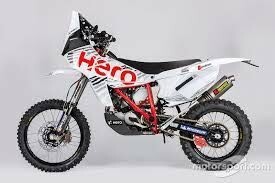 No obvious complaints; it gets enduro.ie nod on first impressions. KTM 790 job well done! 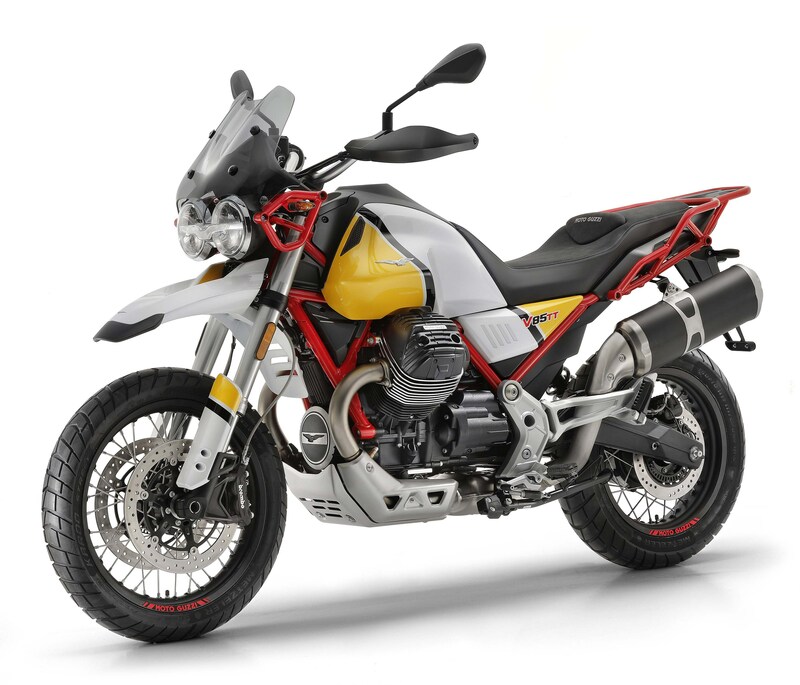 In a slightly different way and class moto Guzzi 85 tt is beautifully put together but will not have the off-road capabilities of the rest. It does have a shaft drive. Road bikes are plenty, but we are not too interested in those. 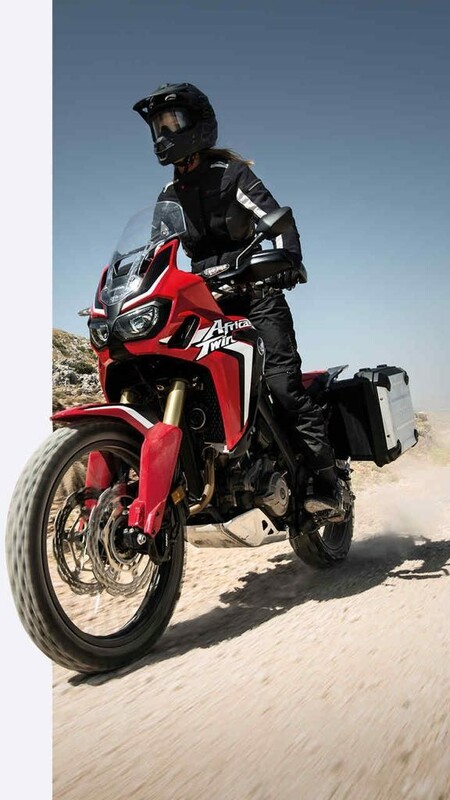 Both Ktm, Yamaha and the rest will bang heads with the Honda Africa twin. Updated for 2019 as an all-round adventure bike. It has credentials. 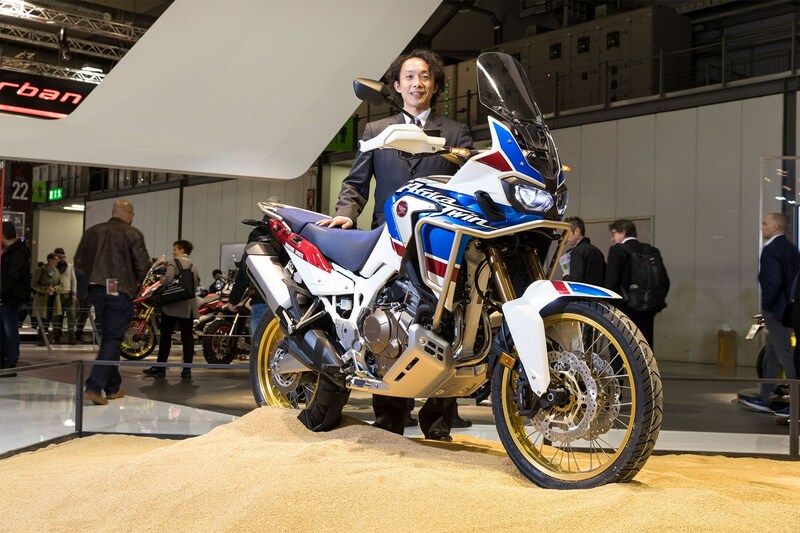 Kenji Morita, Large Project Large for the Africa Twin.